This red mess you are looking at is a bit of success. Yes, it's a successful mess, so to speak. 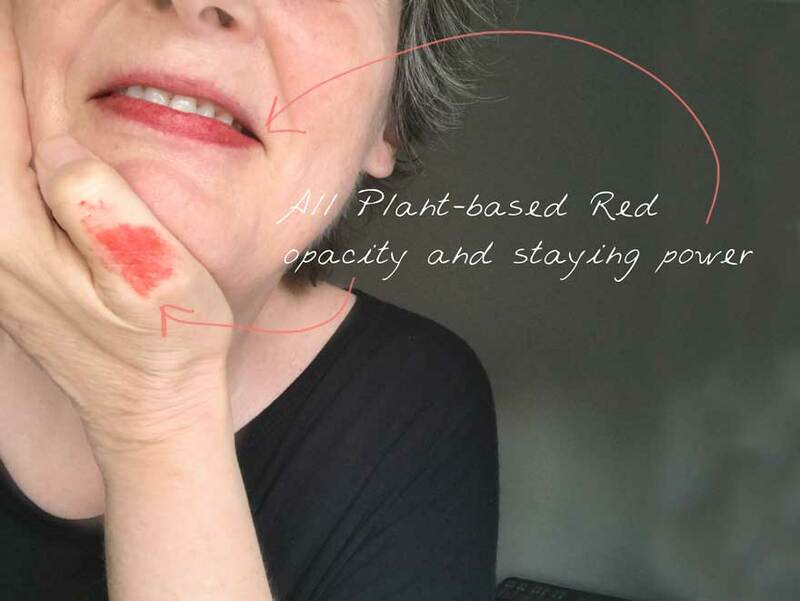 I have had this project on my personal-to-do list for what feels like forever: to develop a series of color cosmetics that uses 100% plant colorants and doubles as skincare. Yes, I do like a challenge. The project has been pushed behind a zillion other things because, well, sometimes, things just get in the way. But now I'm working on it! It was a meme on Instagram (posted by a lovely fellow formulator) that finally kicked me into gear. The post had a fun graphic with a bush (or was it a tree?) that was 'blossoming' with lipsticks instead of flowers. "until someone invents a lipstick bush, cosmetics will never be natural." My immediate thought was 'what an odd choice of graphic and words for someone who obviously has never heard of the Lipstick tree'. And that was it. I had to prove lipstick could grow on bushes, so I got to work. I'm still working on this (and have been over a period of a few months now), but I thought I'd give you this little progress peek. According to my tests so far, it's looking a whole lot like lipstick really can grow on bushes. Tip: If you want up-to-the-minute peeks of the progress on this project, check my Instagram account. Do you ever find yourself inspired to get going on a project by something completely unexpected? I made a lipstick a couple months ago. Background story, i LOVE nature but it's extremely difficult making me spend money even on the good stuff xD So i had bought some very little supplies and wanted to check the beeswax i bought immediately with some very crunchy recipe. I found WellnessMama's 1:1 beeswax:coconut oil lotion stick and gave it a go, i tried alkanet root and other thingies but they wouldn't leech any color. I had this powder called Ochre, i mixed it in water and loved the consistency! (i later found it was clay) :D. I mixed the solution in after the oil and beeswax had mostly set. It hasn't spoiled ! Even though i live in a very hot city. The color is brownish with a very slight tip towards red and that's why i've decided i need some white powder for my next batch. 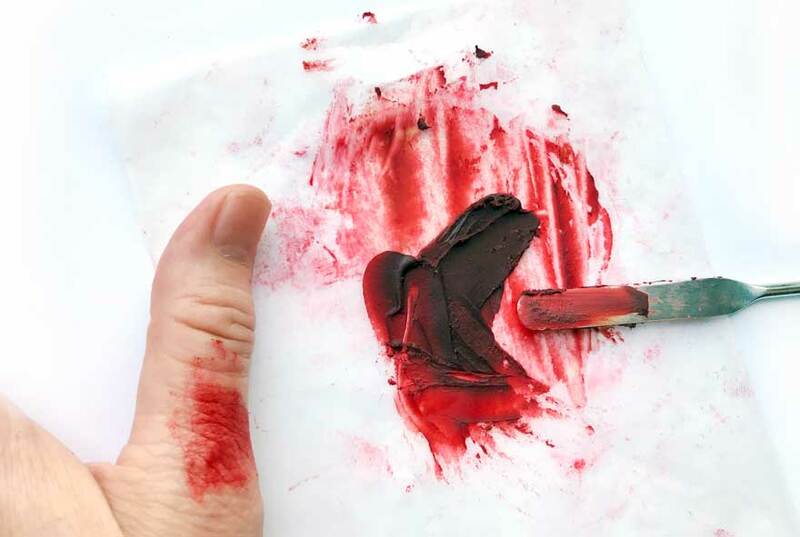 It would make a very lovely deep red that way ! Just thought i'd share my story, sorry for the long post ! Oh and i also mixed i dunno what on the way, some fuller's earth, red camala powder, a few drops of vit E oil (the rest of the capsule had squished somewhere). Hi Wish — thanks for sharing a bit about your lip product project. I hope your next batch is just the thing! Please feel free to share how it goes.